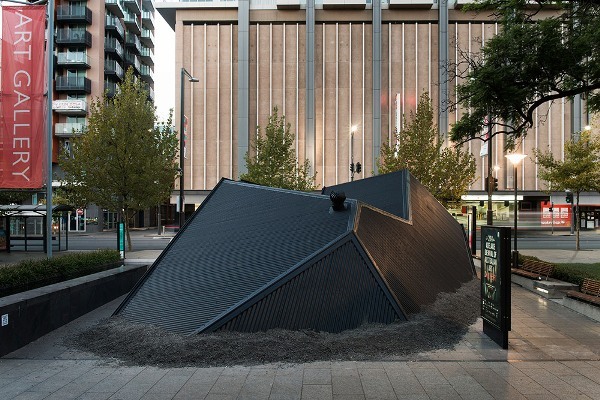 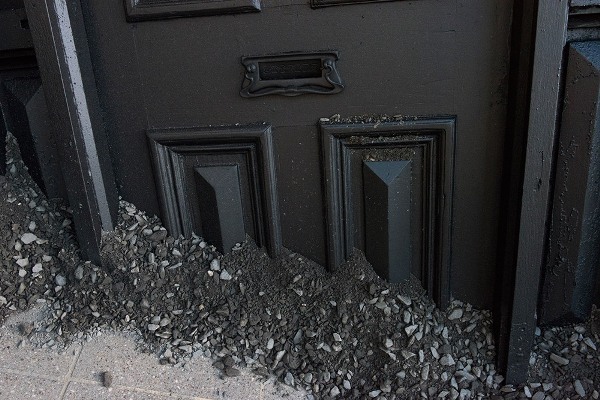 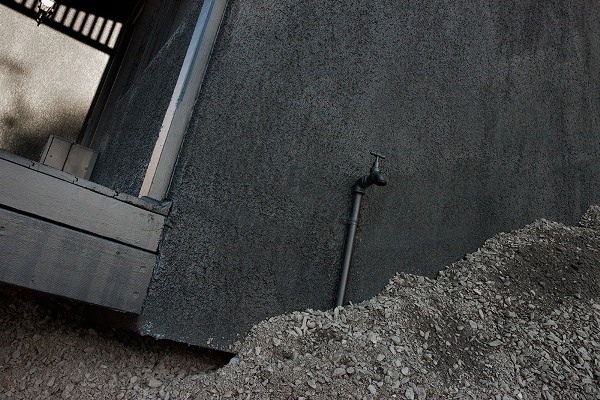 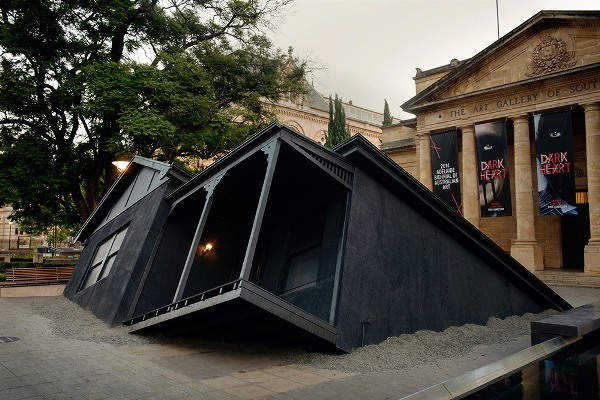 A small black house that seems to be sinking into the concrete ground bears the sign of Australian visual artist Ian Strange and is located on the forecourt of Art Gallery in Adelaide. 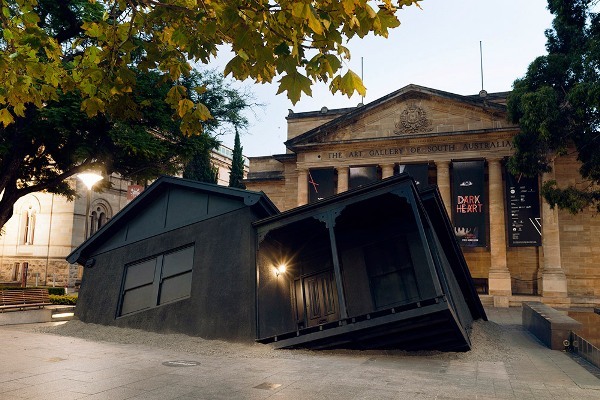 This outdoors installation is named “Landed” and was commissioned for the 2014 Biennial of Australian Art. 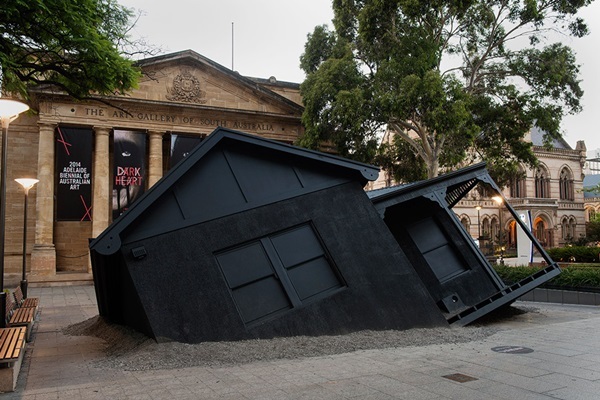 In front of his completely black architectural structure that seems to be constructed or as revealed by its title landed on moving sand, the viewers have to give their own interpretation since its creator intentionally did not include any description. 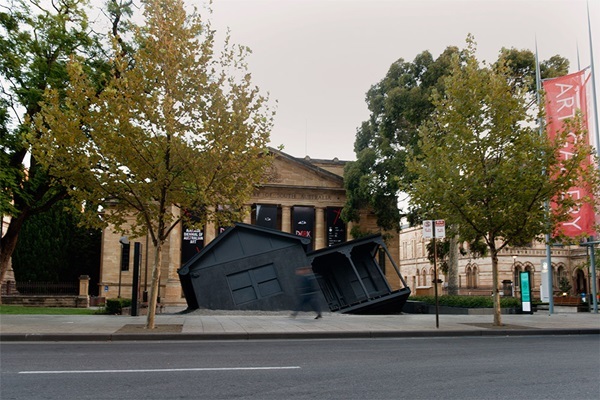 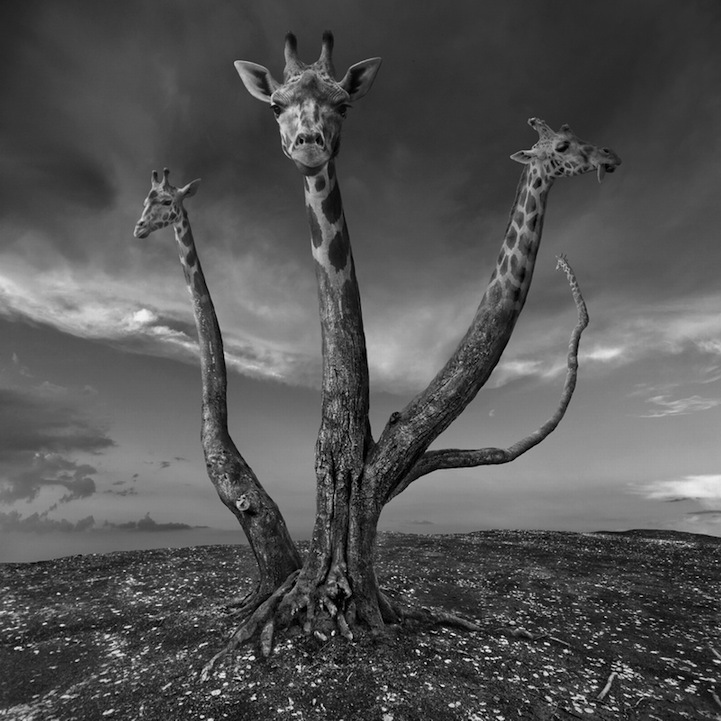 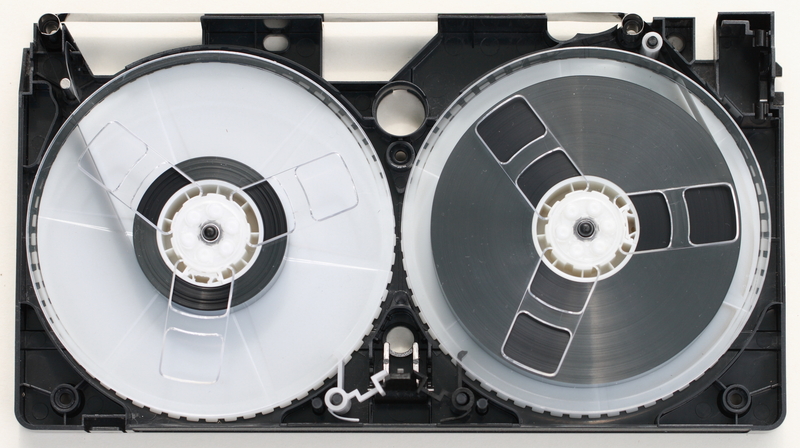 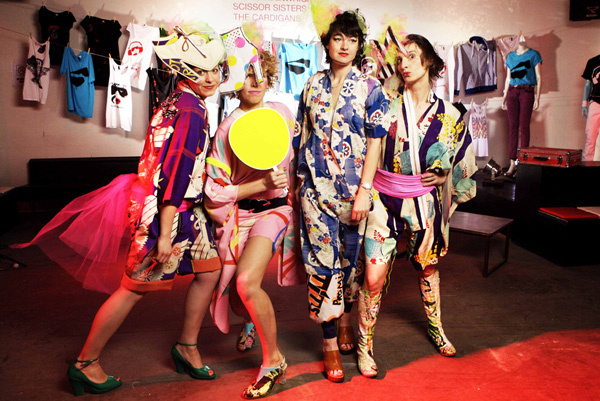 The installation will be on display till the 11th of May.